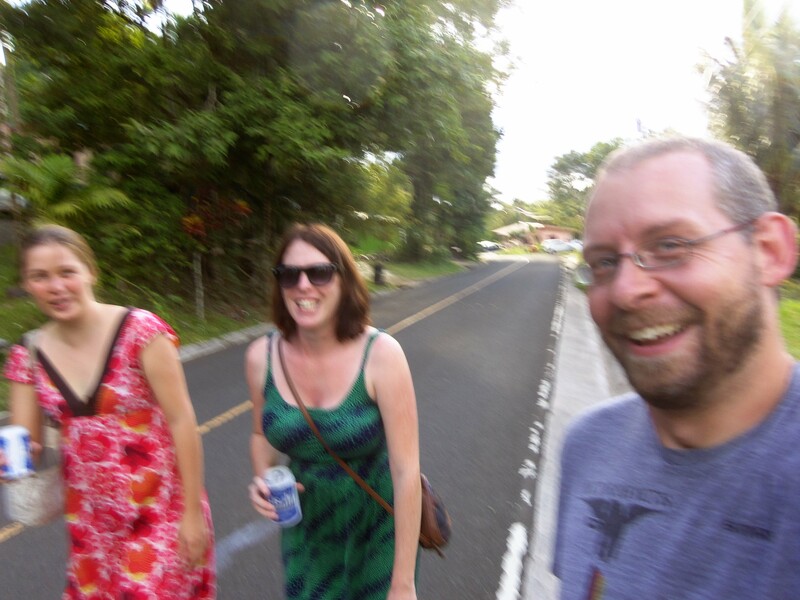 Peace Corps Koror | …now with more Australians! So, as it turns out, I’m a pretty lazy blogger. <– I actually started this scintillating post on October 1, 2012. Didn’t make it very far. 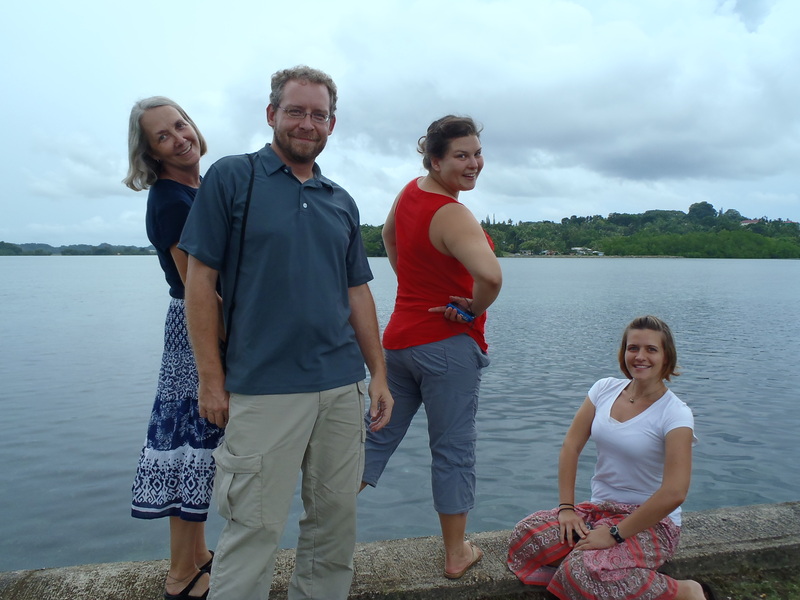 At T-Dock in Koror as Peace Corps Trainees. 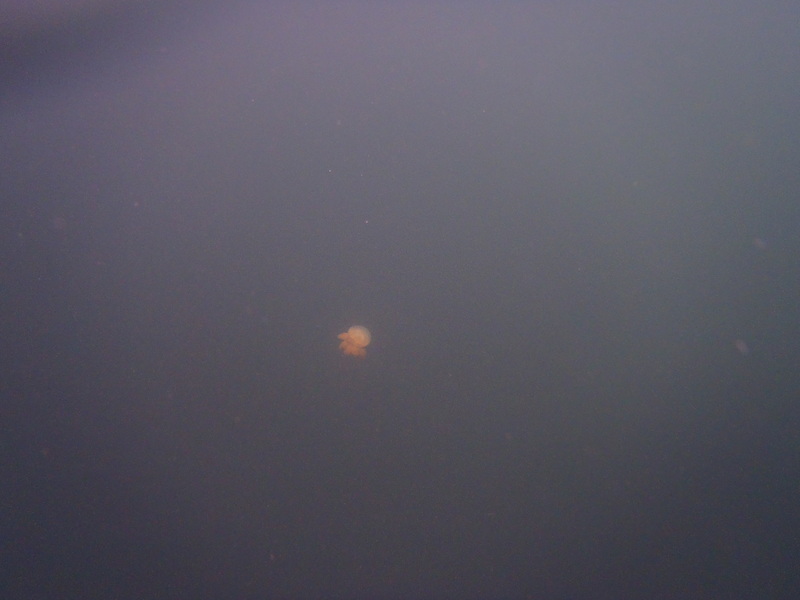 My water-resistant camera survived for about 3 minutes in Jellyfish Lake, which I visited my second weekend in Palau. This contributed to a decline in blogging activity. 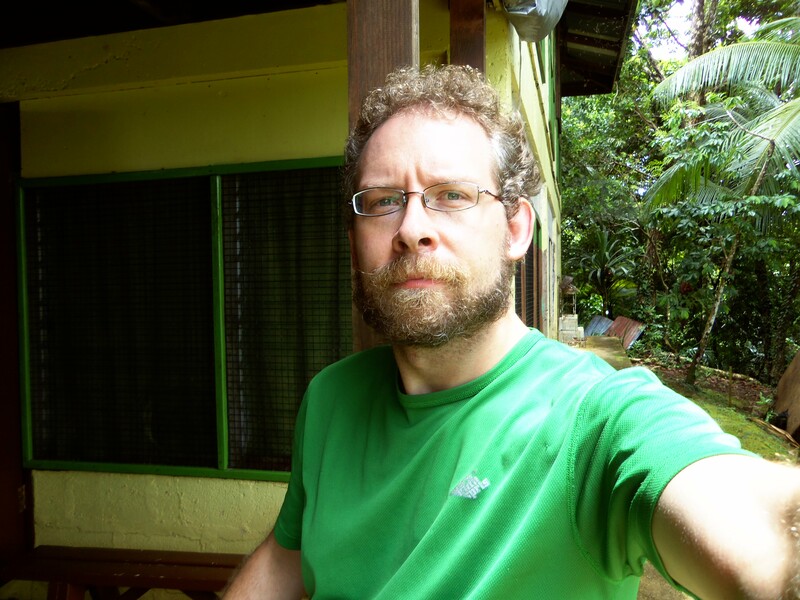 Yeah, it’ll be fun to have long hair and a beard in the tropics. The beard got to stay, and life improved considerably. 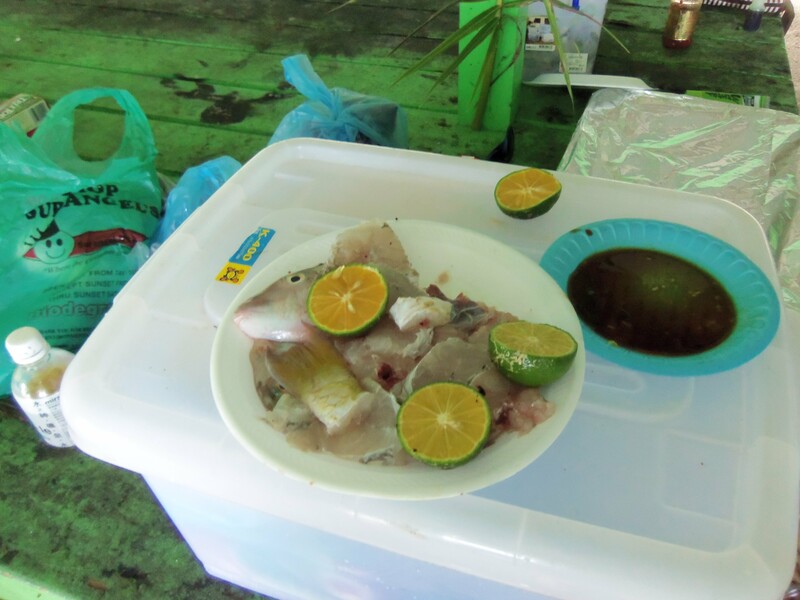 Palauan style sashimi is pretty tasty. Unfortunately I don’t actually eat this type of thing very often. 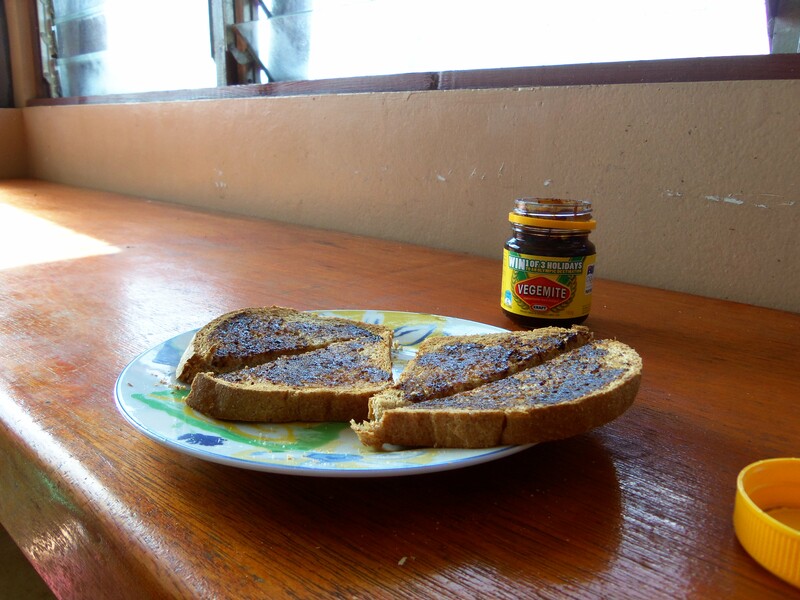 A proper Vegemite sandwich, prepared by a real, glowing Aussie. A few of my students and the dorm father on PE Day. 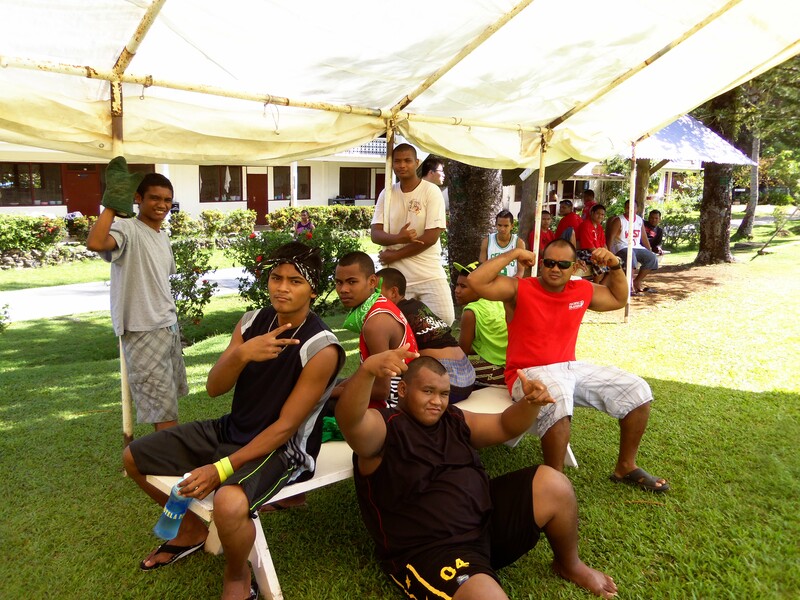 One of the events on PE Day. 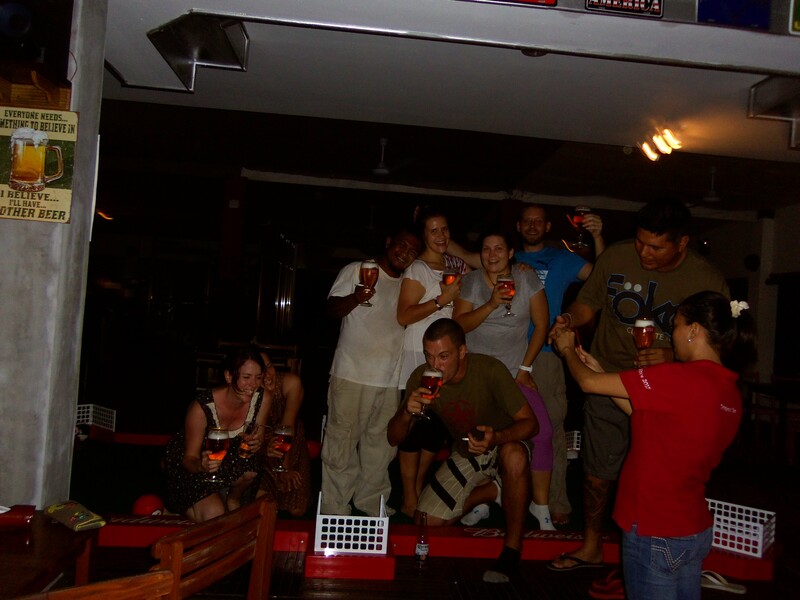 American/Australian/Palauan post-typhoon party at Mingles, the techno-Thai-frat bar in Koror. 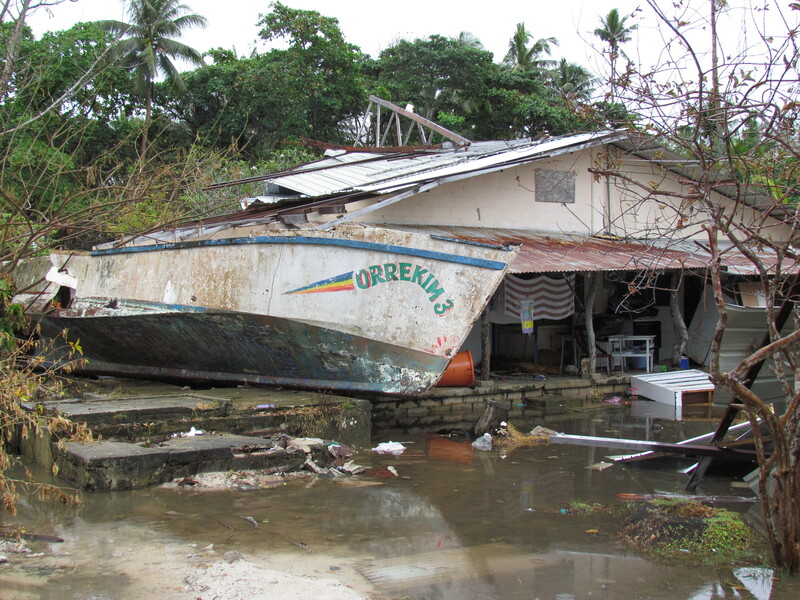 Results of storm surge flooding in Ngaraard. Orrekim means rainbow. Taking a break for lunch with some of my coteachers during flood cleanup at our sister school. 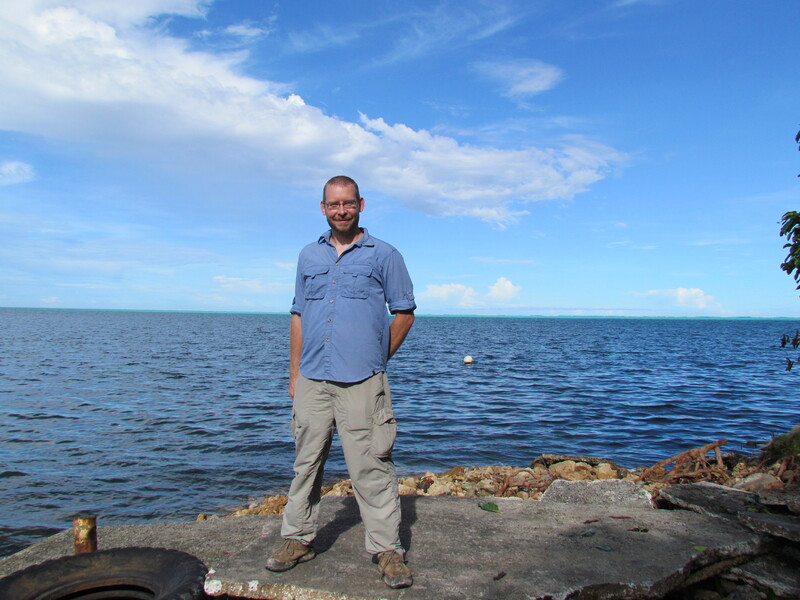 Visiting a dock in Ngarchelong after cleanup duty. That “ch” in Ngarchelong represents a glottal stop, not a ch. Airai side of the KB Bridge looking south to Koror on New Year’s Day. 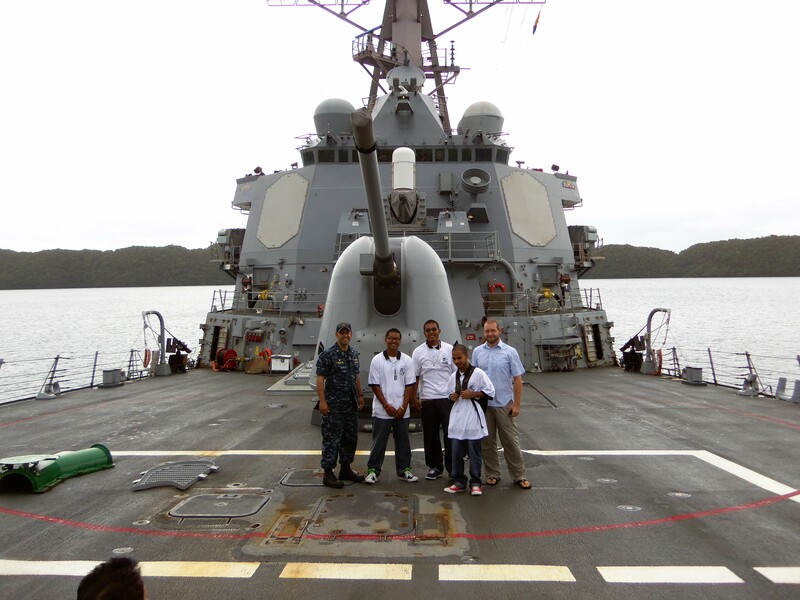 Touring a US Navy Cruiser with a few students. It sort of felt like original Star Trek on the inside. Visiting the Milky Way on a school trip to the rock islands. 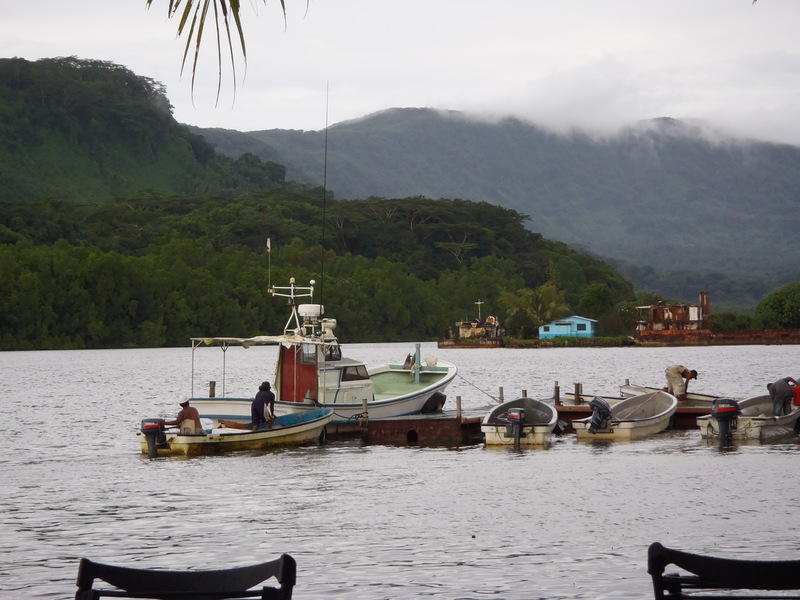 A kid fishing from a convenient perch at the Angaur dock. 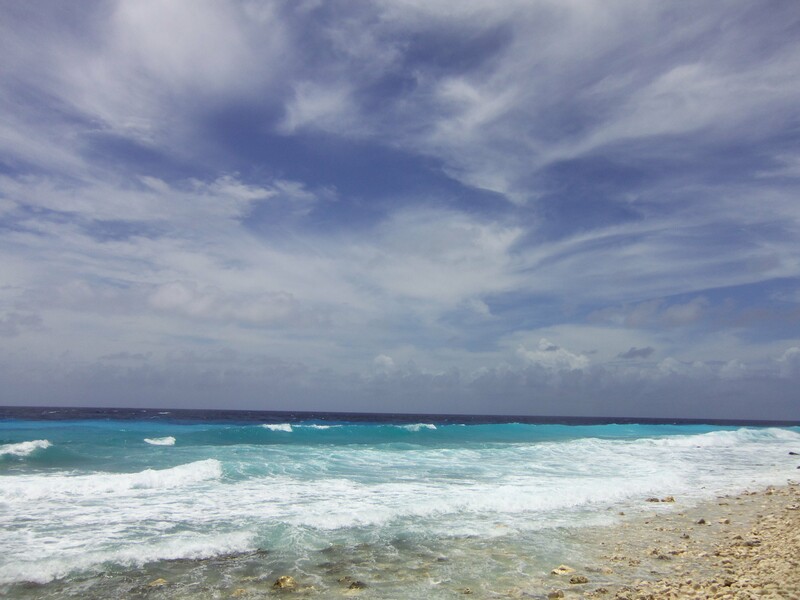 Blue Beach, one of the beaches on Angaur. 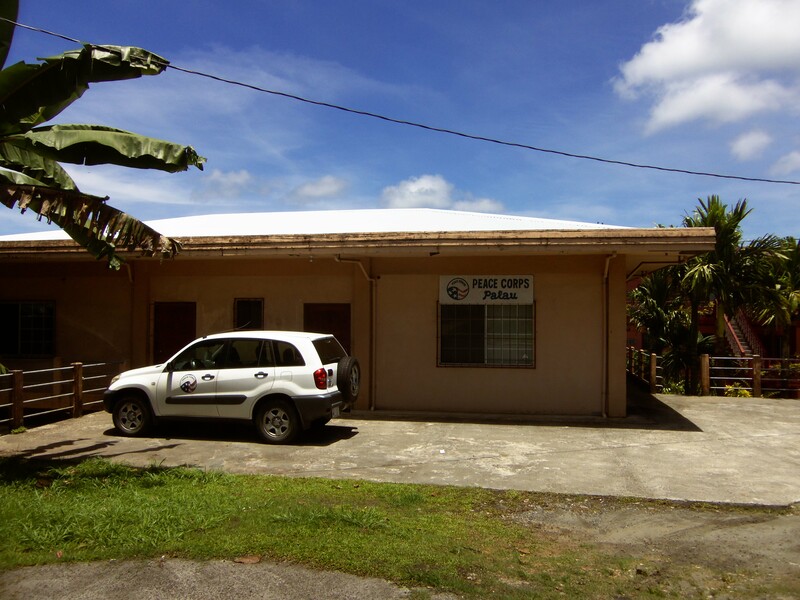 The Peace Corps Palau Office and Volunteer Lounge. Sunset from the old seaplane ramp in Meyuns. Getting ready to check out a shipwreck. Kobayashi Maru or something I think. Heading to Rose Garden for some Carcassonne and a view with Renee and Lis. Considering how long it took to upload this stuff, I really should have written more. You know the old saying though… Meh. Ma uriul! Hey, I ran out of internet time before I could post this a couple of weeks ago. It’s expensive here! Wrangled some free internet today though, so below is the post that should’ve been posted on July 8th. 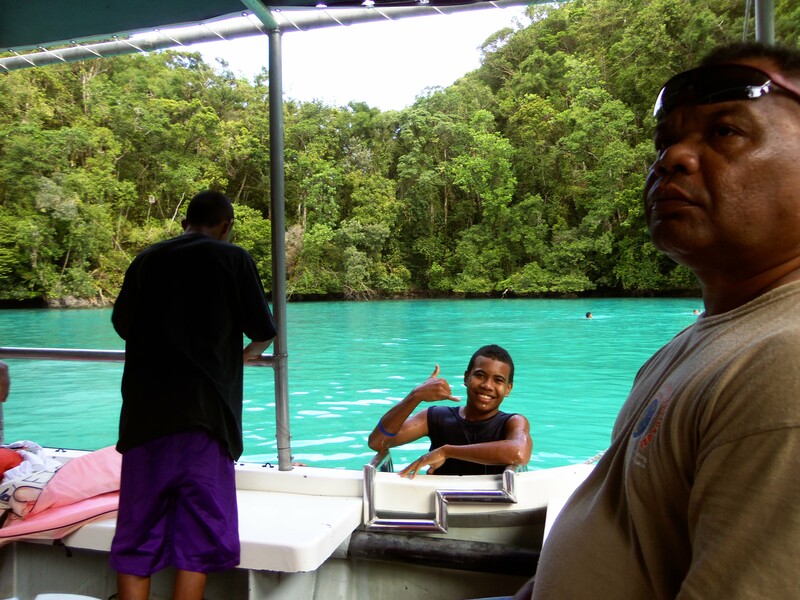 But first, I’m moving to Palau tomorrow. 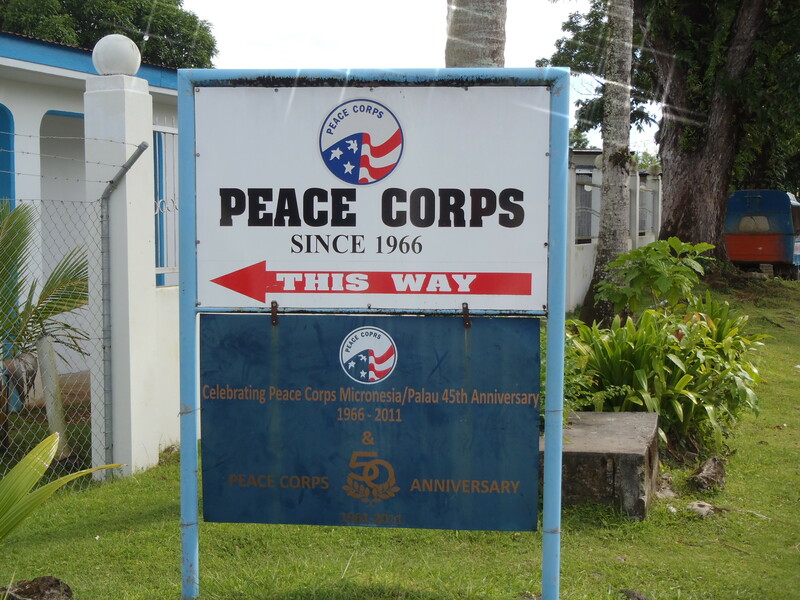 If you want to send me stuff, here’s my new address: My Name, Peace Corps Palau, PO Box 158, Koror, Palau, PW 96940. Busy week. Many happenings. 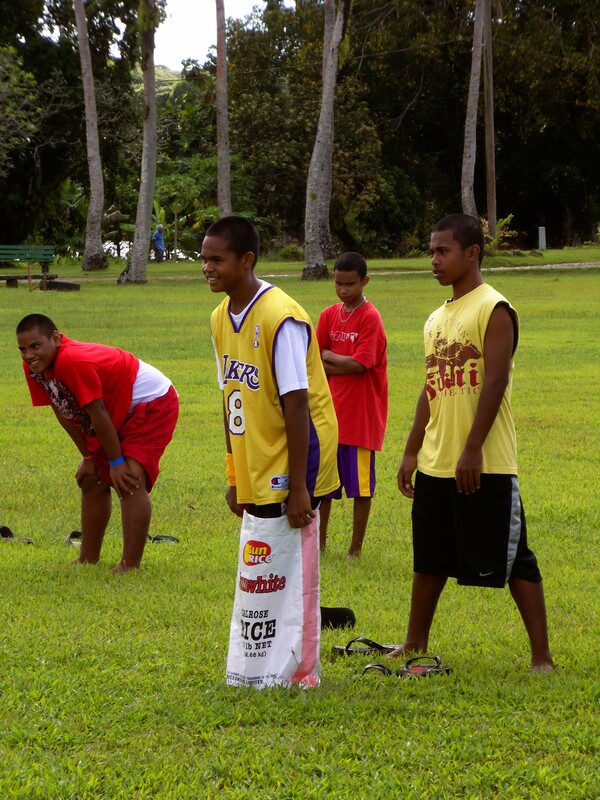 Our first ETs, teaching Model School, more training, a trip to the embassy for the 4th, site announcements, a day of learning to prepare local food, socializing with friends who will soon scatter across Micronesia. Exhausted from a surprise wake. I’m officially part of Team Palau for the next couple of years. My host father working out the rough details of a shark. 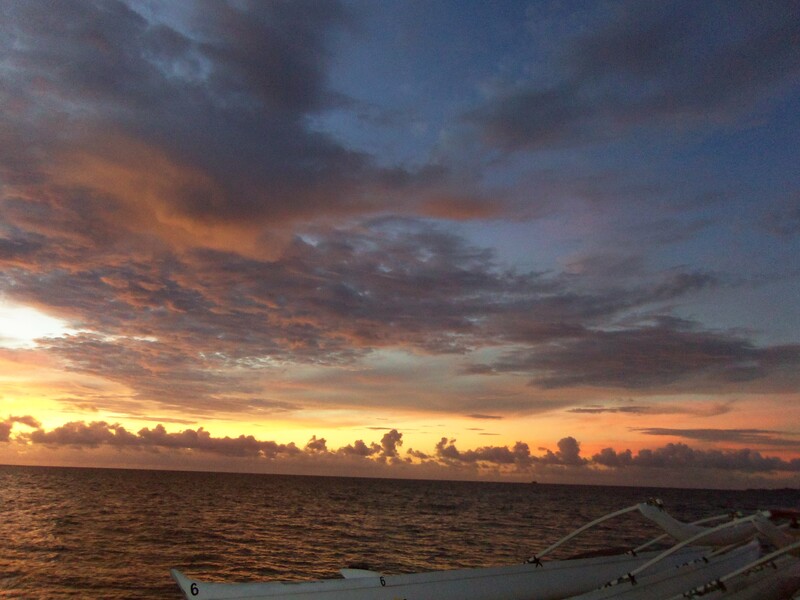 A view from Coco Marina during the bon voyage party for our first ETs. Maefeline at the sink, JJ fishing, all in the kitchen. 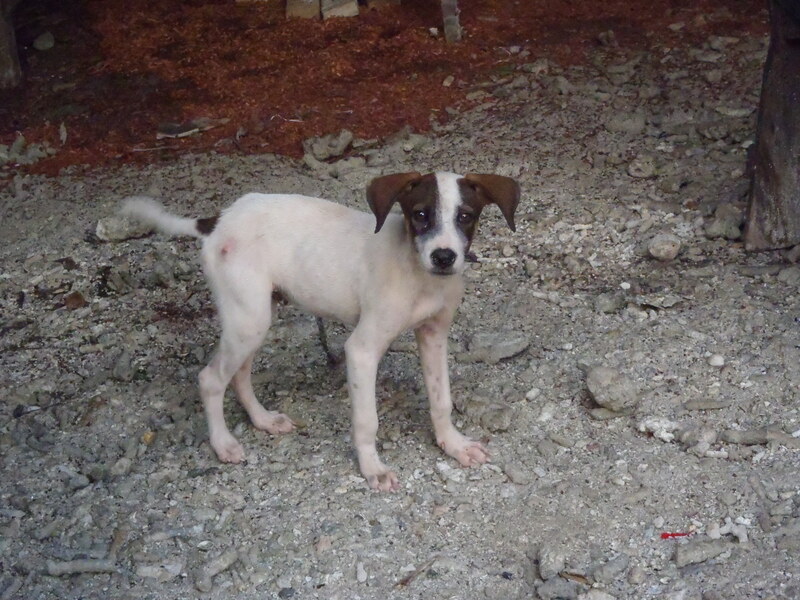 The little dog that I call Hekahek (Skinny). He usually sleeps outside of my door these days. Probably because I like to share my pancakes and fish with him. My host nephew, McNeil, and the new puppy. Yes, they’re both always this cute, although this was the first time I’ve seen him in his sister’s dress. So a couple of days ago I was walking home, and I dodged around a parked car and under a breadfruit tree. I heard a little pop above me, the sound of something whisking through the leaves, and felt a sense of impending impact. 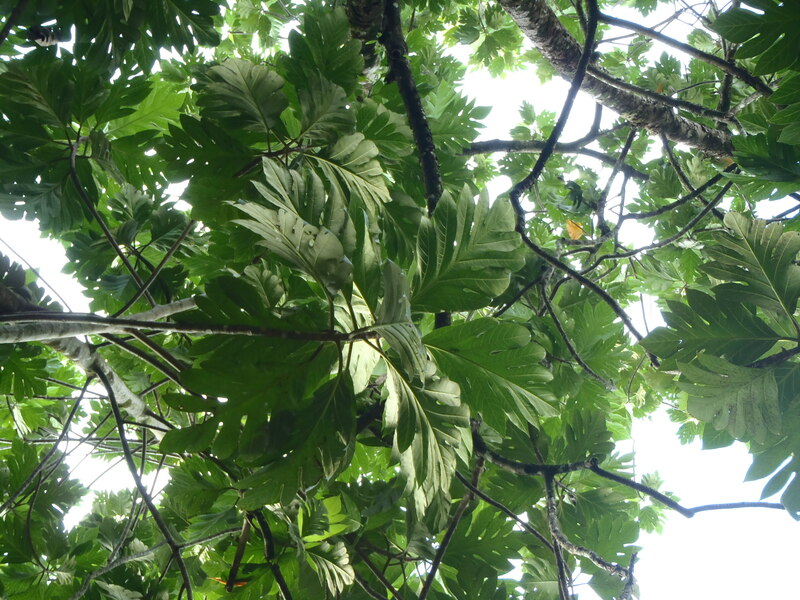 And then splat…I found myself wearing a not insignificant quantity of breadfruit. Getting hit by a ripe breadfruit is somewhat like being hit with a cantaloup sized water balloon full of thick, slippery, yellow snot. It was awesome, and hilarious. I walked the rest of the way home with a big smile across my face. Walking through my village it seemed like every person greeted me with a “Mariakoi” or a” Hi Jake” or a “Good night” (it was dusk, so everyone was heading home for the evening). It was a great feeling. So far I haven’t done any “work” other than maybe talk to people and try to learn Kapingese. I wonder what it’ll be like wherever I’m posted when I’ve actually had an opportunity to contribute more to my community? 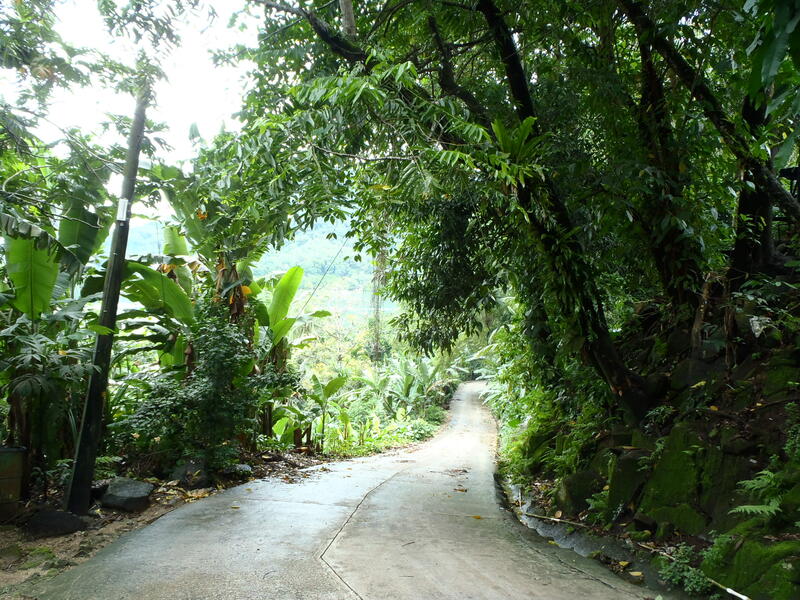 When I got back home covered in breadfruit, I told my story and shared a laugh with my host family. After cleaning up a little, we had dinner. Really more of a feast. All of the staples like tuna, rice, taro, bananas, and coconut, but there was also a dish unfamiliar to me. My host father said, “Try this. It’s my favorite meat. No bones like fish. Konega ke.” Sea turtle meat. I knew that the Kapingamarengi sometimes catch seat turtles since there’s one hand craft shop that has some beautiful polished sea turtle shells for sale. I just didn’t expect to meet one for dinner. They may be endangered (I don’t know the species we had), but I couldn’t do anything to help this one, so I ate some. And it was delicious. Sauteed with onions, with some rice to go with it, it tasted pretty much like pulled pork, just a bit more chewy. Quite nice. Also, I’ve responded to a few comments in previous posts, so you may want to check up on your comments from time to time. 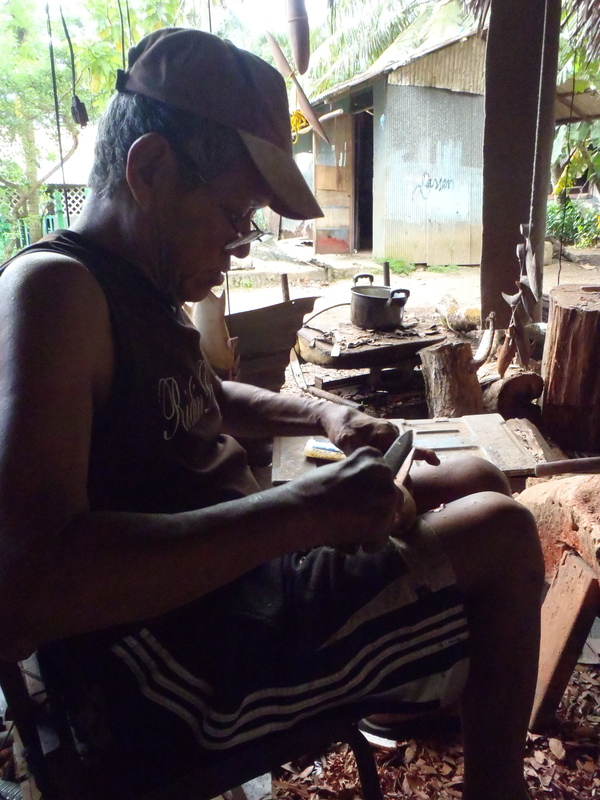 An example of Kapingamarengi wood carving. Based on the color, I think this is from mangrove wood. This hammerhead is about 2.5-3 feet long. 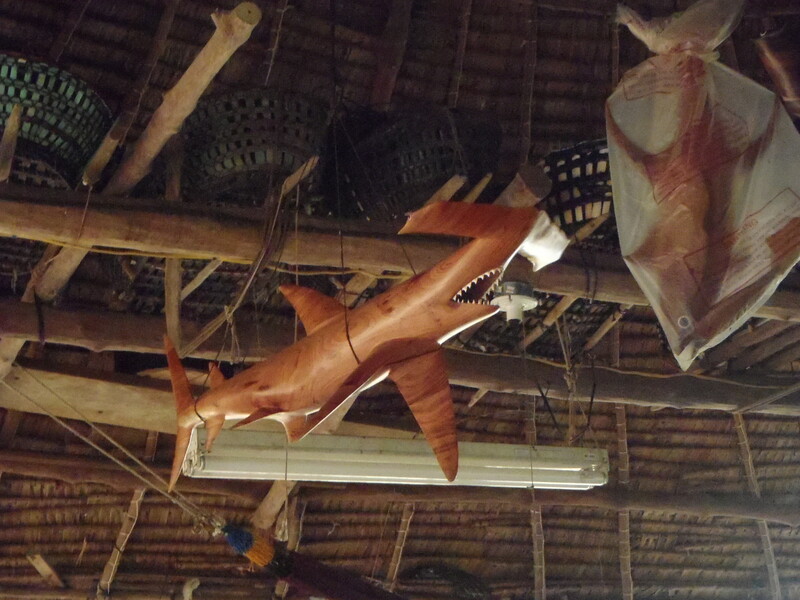 Miller, one of the carvers, working on a shark. Anyone feel like sending me another short wave radio? Because he’d like to trade a sculpture for one. 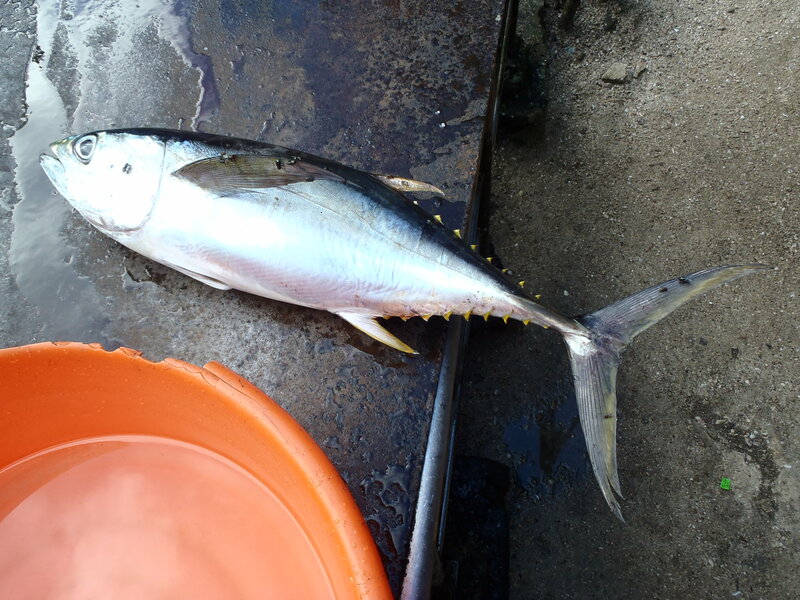 A kind of small yellow fin tuna that became sashimi shortly after this picture was taken. No, things here are not usually this sparkly. My camera has a “Magic” setting that is irritatingly easy to turn on. 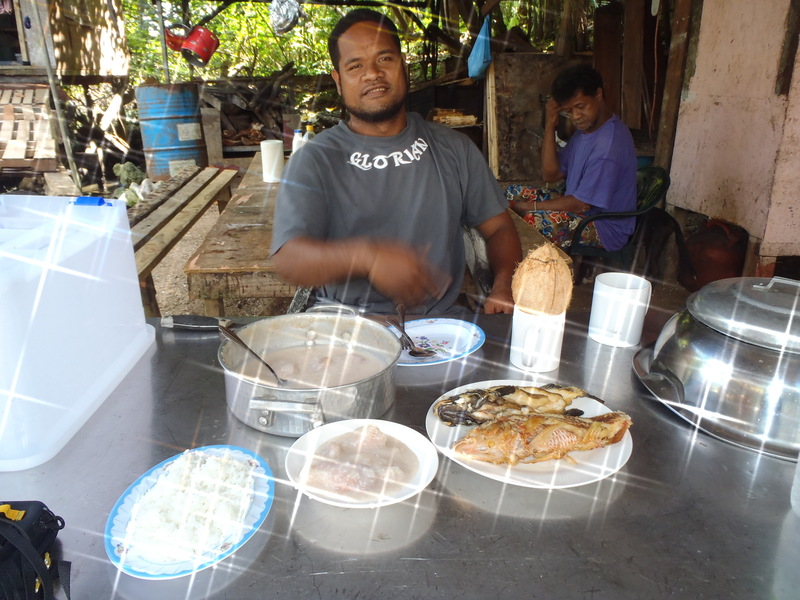 Lunch with my host brother Glorian. Rice, taro in green coconut pudding, and fried reef fish. Awesome. And I do feel kind of guilty at every meal when I think of other PCVs who have served in other countries like, well, let’s say Kyrgyzstan. 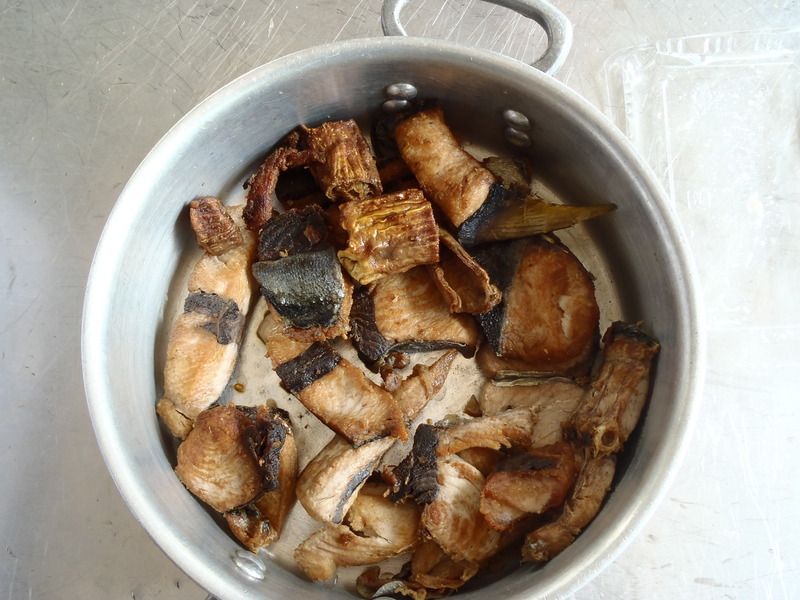 Tuna meat (konega takua) with a few bits of tuna intestines in there. The intestines are kind of like eating squid. This was delicious. This is pretty much what I get to look at when I’m at the kitchen table. 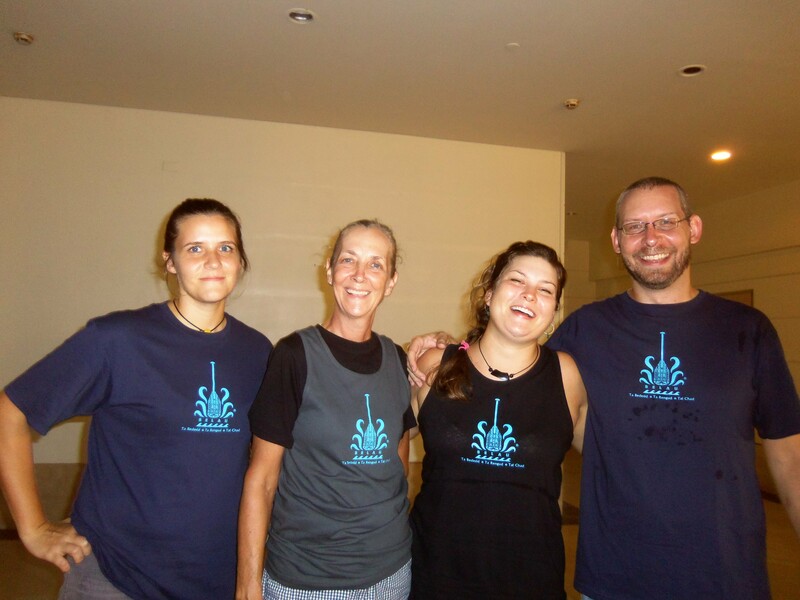 On Friday some of the current volunteers stationed on Pohnpei stopped by for lunch. Apparently they were house sitting for some other foreigners since they had a dog following them around. It’s a dog that acts like I would expect a dog to behave–a happy, friendly companion. I first encountered him just after he had rolled in some thick stinking mud. He looked pretty pleased with himself. Later that evening a group of us newbies got to hang out with a different set of currently serving volunteers who let us in on some less-sanitized versions of stories that had been brought up in training. They also showed us where it is possible to obtain tacos complete with sour cream, salsa, and guacamole. Also, I discovered a tiny gecko crawling around on my shirt. On Saturday part of my training class went out to the old Japanese airstrip (Langer airbase I think?) to have our hands-on water safety training. For those of you who don’t know me, water activities are possibly my least favorite possible options. I have a deep and lasting fear of water that a) is too deep for me to stand up in b) has things living in it that might touch/eat/or slime me and c) is not in the form of a shower drinking water. The ocean, for the most part, fails every single one of these tests. But I survived, clearly, and I even did the part of the training that involved tossing my life vest overboard and then jumping in after it and putting it on in the water. 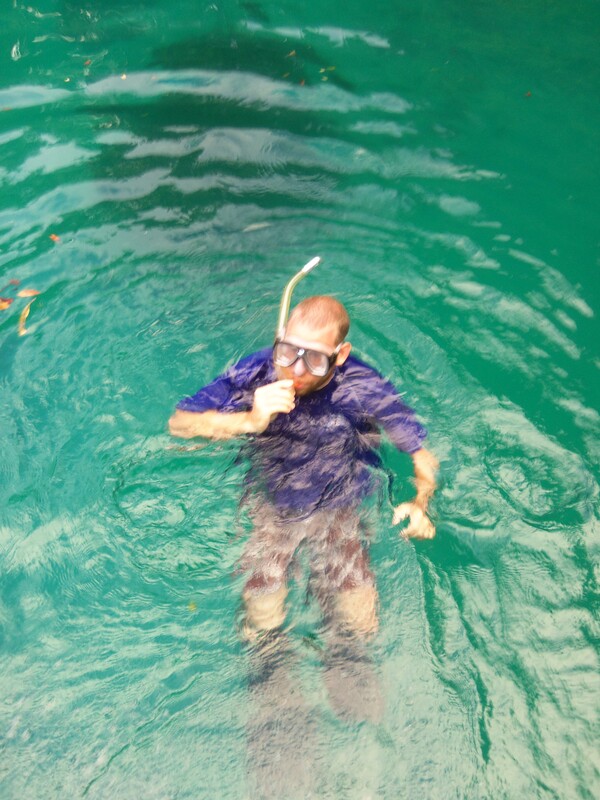 After all that we spent some time snorkeling, even spotting some manta rays, a grey reef shark, and a lot of lumpy brown things on the bottom that I am pretty sure were corals and sponges. Hopefully in the next couple of years I will find a way to enjoy being in the water a little more. Di puti e kadi di gimoputi. Translation: The cat bites the rat. Di pan e wuwu. Translation: The dog barks. Nya manu hakale kii. Translation: The birds are not sleeping. As you can tell, I am a great conversationalist in Kapingan. 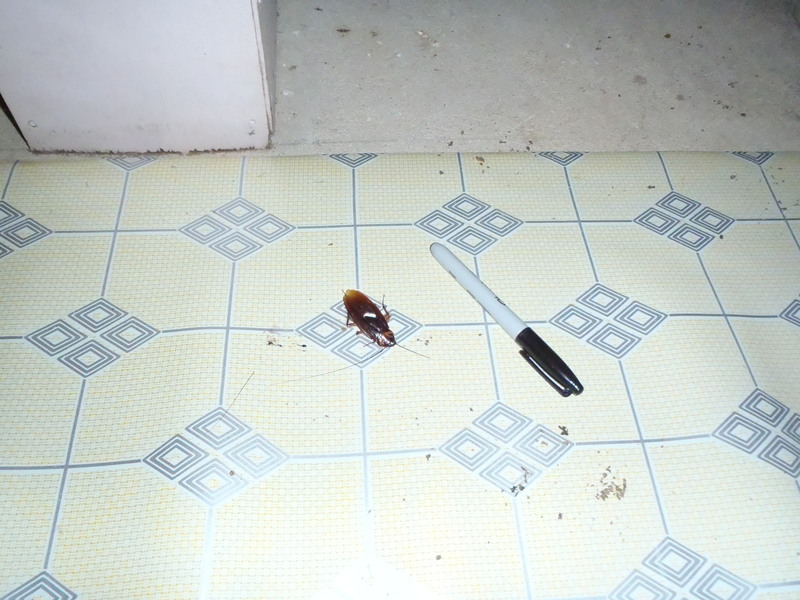 Also, the name Peace Corps may not be entirely accurate, as a I met and defeated my first two cockroach adversaries in battle at some point in the last few days. Tomabiig = piglet. This one was behind me when I took the picture below. It’s quite a bit steeper than it looks. Evidence that at least once I got out onto the ocean. 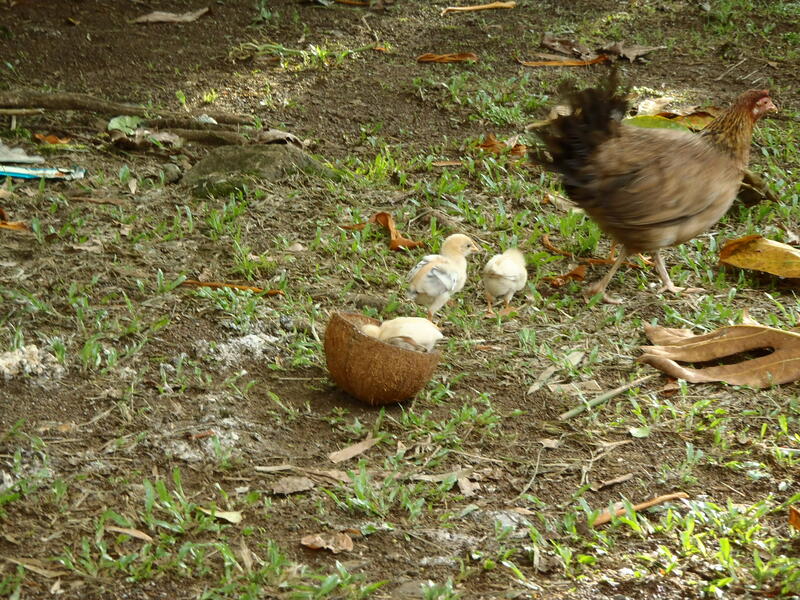 Just a few pictures from around the Peace Corps office today. It’s fun to see Peace Corps things out in the wild. Plenty of things to talk about, but I need to get home and learn some more Kapinga tonight. 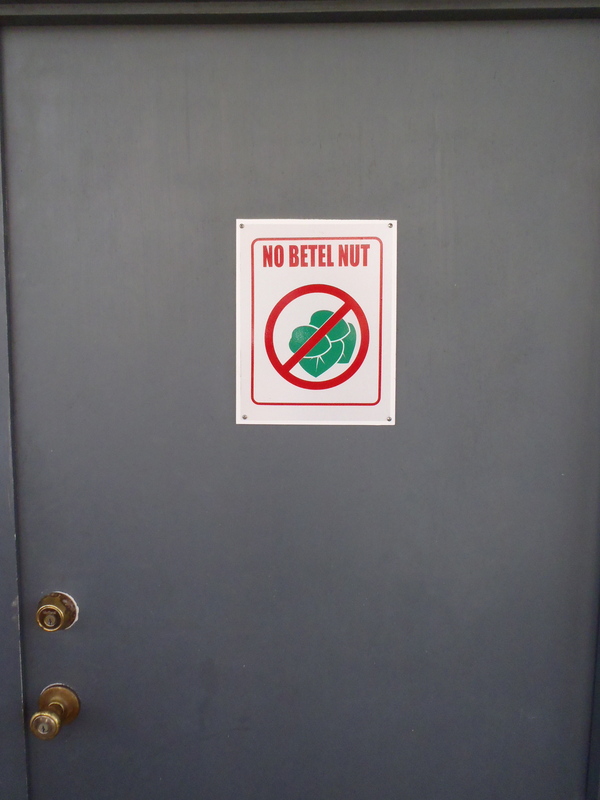 The Betelgeuse is better anyway. 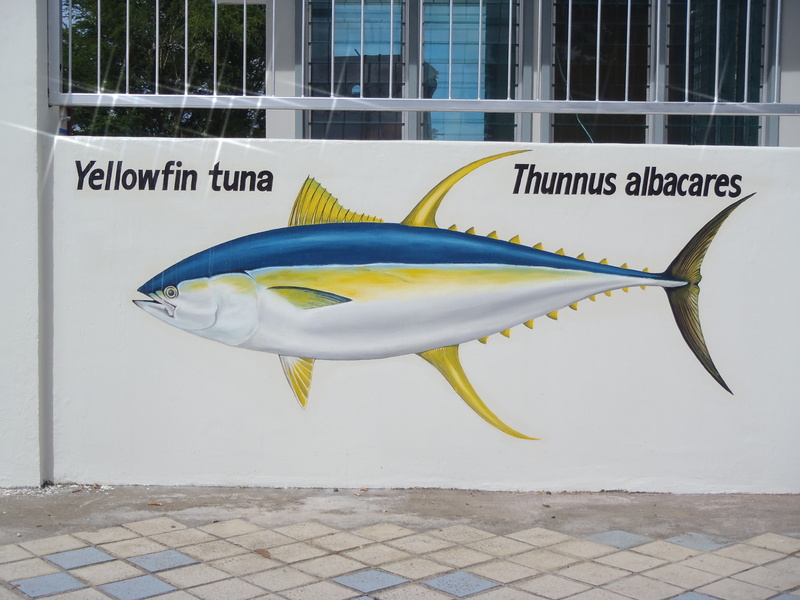 The Peace Corps office is next to the Tuna Commission. If you need further instruction, it’s over there. They use US currency here, so the money isn’t too exciting. It seems to buy somewhat more of whatever you’re buying here though. They aren’t really going to start us on language training until site placement is determined since there are so many different languages spoken in the region. 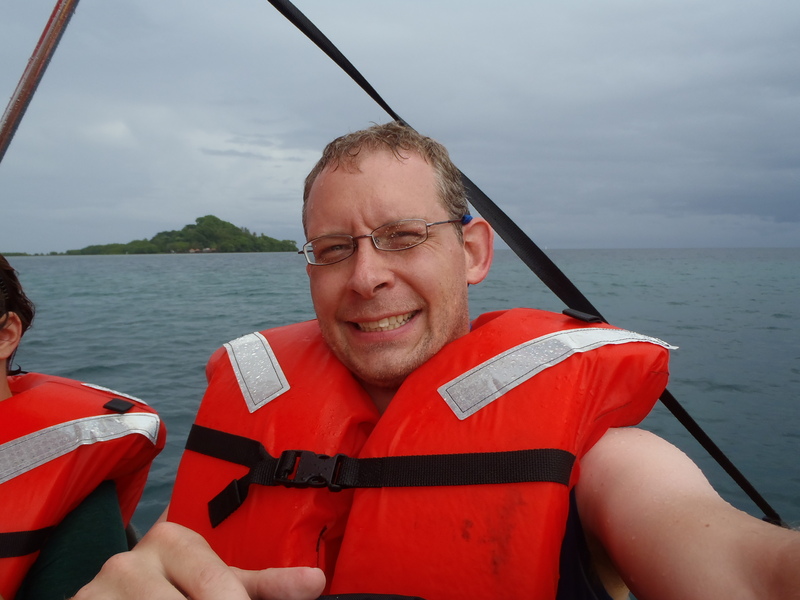 On the island of Pohnpei, which is where I am at the moment, the majority of people speak Pohnpeian. 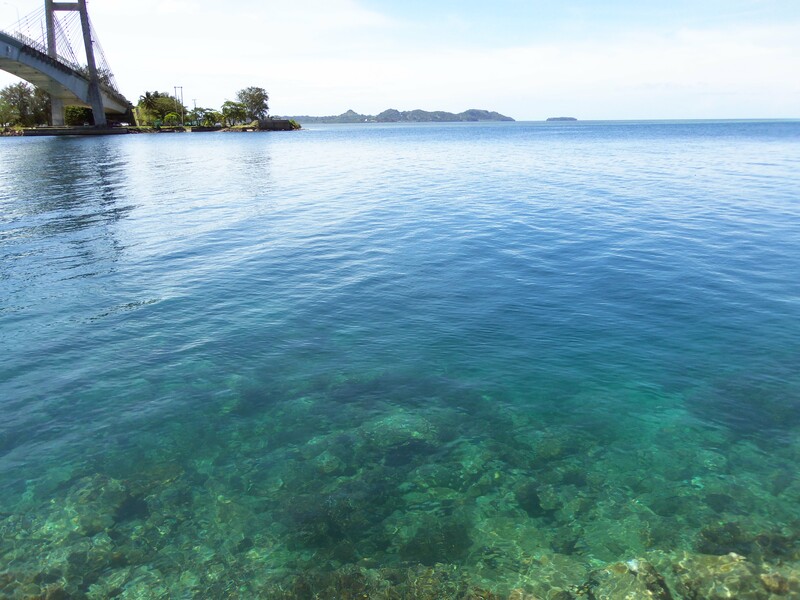 But my host family is Kapingamarengi, which is an outer island of Pohnpei state. The Kapingamarengi are Polynesian, not Micronesian, so their culture and language is more like that of Hawaii than that of other places in Micronesia. 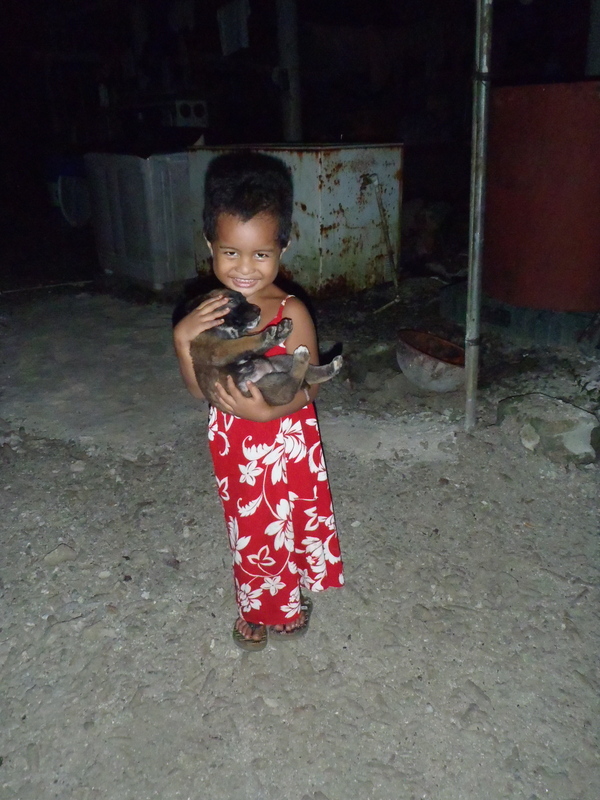 They speak Kapingamarengi at home, so that’s what I’m learning more of instead of Pohnpeian. It’s actually really cool, as they are more traditional than most Pohnpeians. Or so I’ve been told. 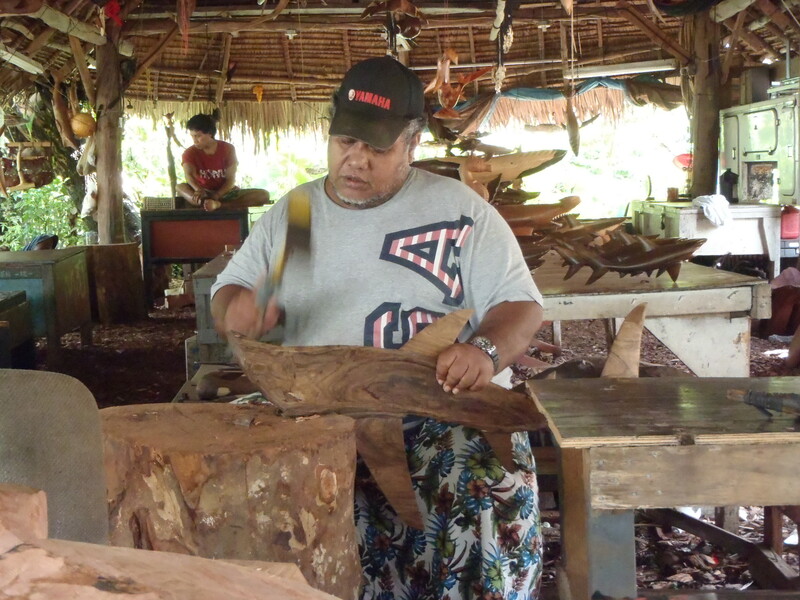 Kapingamarengi are known as fishermen and for their wood carvings of sea creatures. They’re really amazing. We have water safety training this Saturday, after which we’ll be able to do water related activities. There’s an older guy that shows up in the evenings who keeps asking to take me fishing, so maybe I’ll go on Sunday. I’m hoping to also learn a little about the wood carving. I’m finding I don’t have much free time though since the Peace Corps is also assigning homework for my technical training. It’s not bad, but it’s certainly cutting into my guitar/German/drawing/all the other random projects I intend to do while I’m here time. The food is quite yummy, although short on fresh fruits and veggies. My family has been making me traditional pancakes with peanut butter and jelly for breakfast, and last night we had tuna soup with rice as well as unripe bananas boiled in coconut milk for dinner. I tried breadfruit yesterday. I did not find it pleasurable, but it could be worse. This morning next to the breakfast table, which is 5 feet from the ocean, on a slab of metal used as a sort of sink/fish preparation area, there was half of a barracuda just hanging out. Apparently my host brother went fishing last night. He said he’d use it as bait to catch tuna today, so we might be having sashimi for dinner. I was stressed about staying with a host family, and they’re kind of quiet, so I’m not sure if they’re waiting for me to talk or something much of the time, but they’re really friendly, and it’s actually pretty fun to try to get to know them. No photos today, although I’ll try to work up some shots of the food. I don’t want to make my hosts feel weird by photographing too much. Anyway, I should probably get back home–don’t want anyone to worry I got lost or something. We moved in with our training host families yesterday. This has been one of the things I’ve worried about most–I’m usually a little shy about staying at someone’s house, even relatives, and much more so with strangers. There isn’t really any reason, that’s just how it is for me. 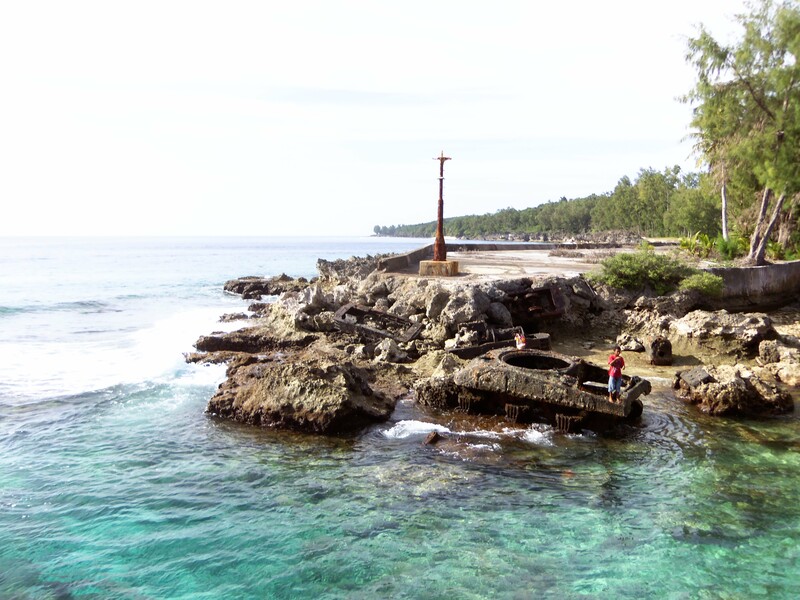 Anyhow, my family is from one of the outer islands of Pohnpei state. I think the island is called Kapumarengi, but it’s a little challenging to verify spelling on that. The people of that island are of Polynesian ancestry and are known for their art and fishing skills. Also, families are arranged so that men live in one house and women live in another one. So far they have been very nice and accommodating. It’s amazing the generosity of the family taking in a stranger from the other side of the world. 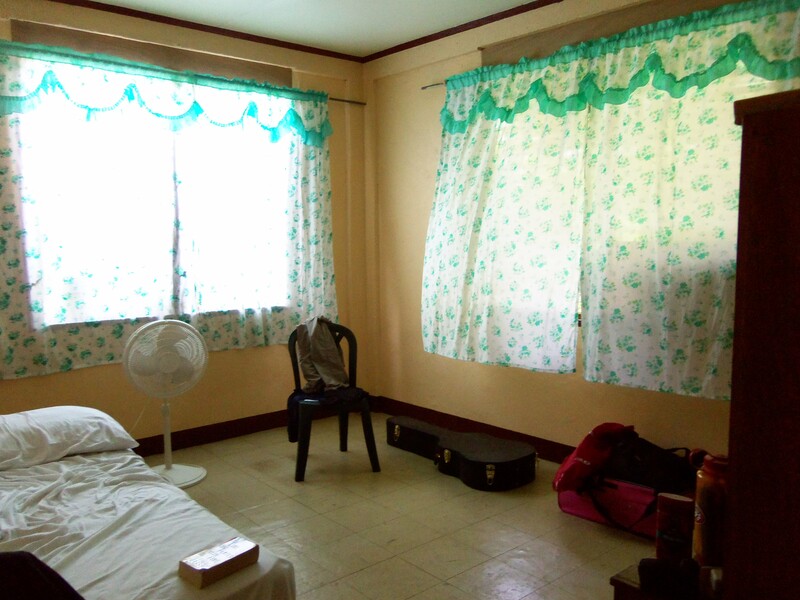 My room is the second floor of the house. I have my own bathroom, bed, and a table. The windows look out into jungle canopy, the ocean is maybe 20 feet away, and I woke up to roosters and other birds singing in the jungle. 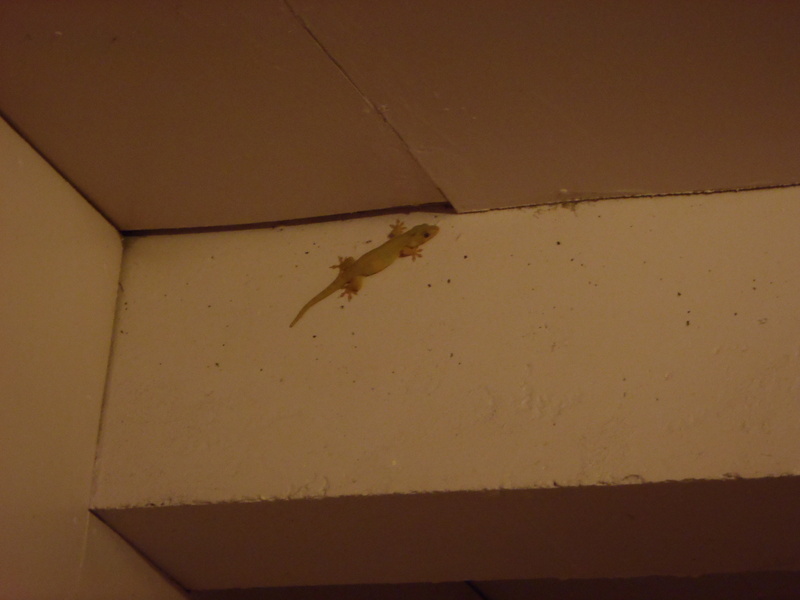 Also, I had two lizard companions on guard to handle any insect issues that might pop up. Pretty awesome! 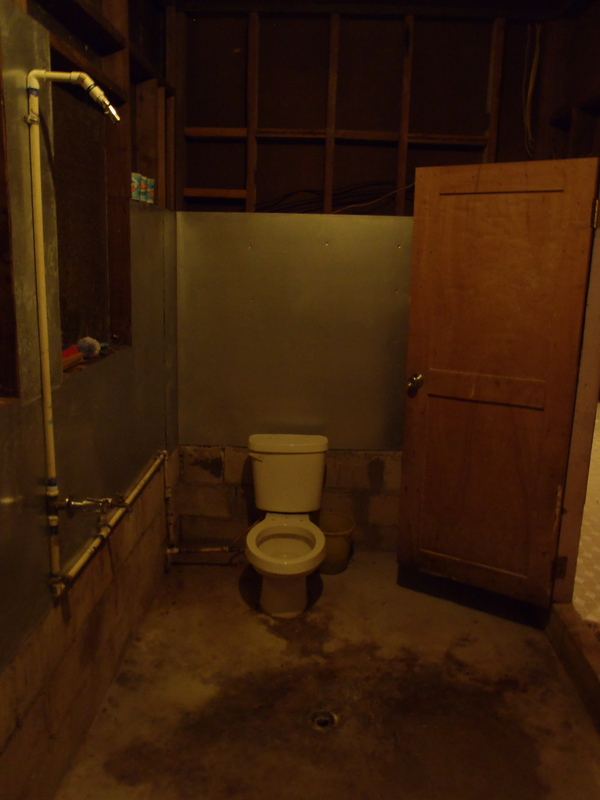 My own shower and toilet! Today we will be starting training for real, I think. We’ll also be meeting and moving in with our training host families. It’s been great to have a pretty mellow couple of days to start out Peace Corps training since it’s given my training class an exceptional opportunity to get to know each other. Yesterday there were several firsts. There was a cultural fair in Spanish Wall Park, which included a sakau making demonstration. I tried some, and it actually tasted much better than I expected, kind of like dandelions. It made my lips and tongue tingly like some mild novocaine though. 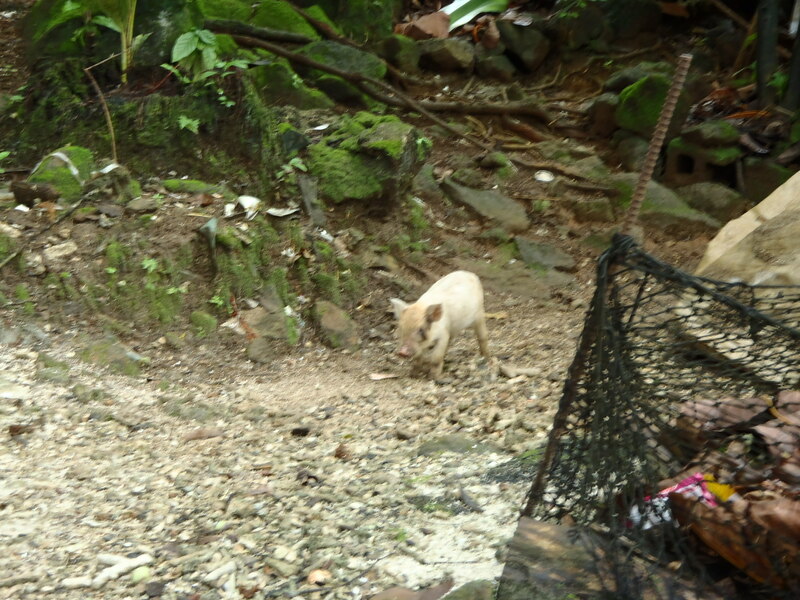 Also encountered several cockroaches, rats, and semi-feral dogs and cats. Here’s a view from Cupid’s, a restaurant in Kolonia. The volunteers who have been here for the last couple of years organized a little gathering for us the night my training class arrived in Pohnpei. 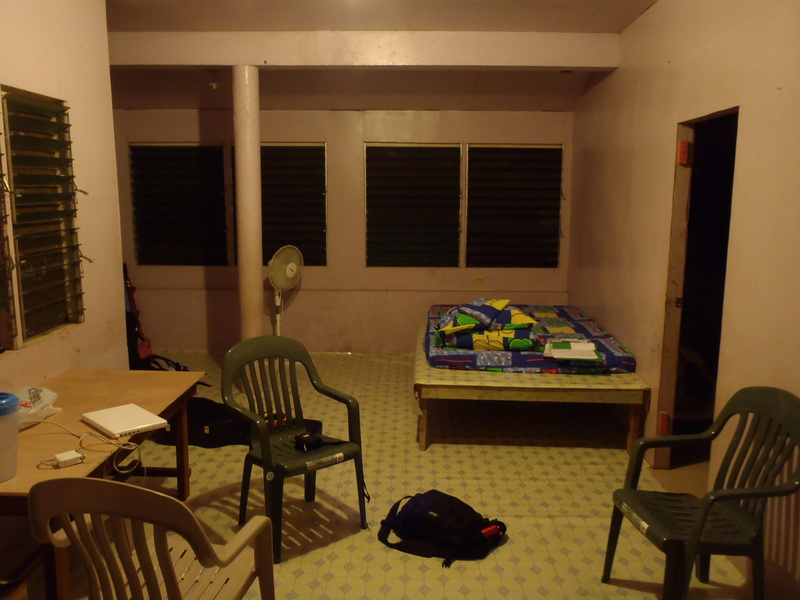 So with some help from my new Peace Corps friends, I managed to figure out how to access the internet here in Micronesia. Now if I can only find my list of phone numbers…. 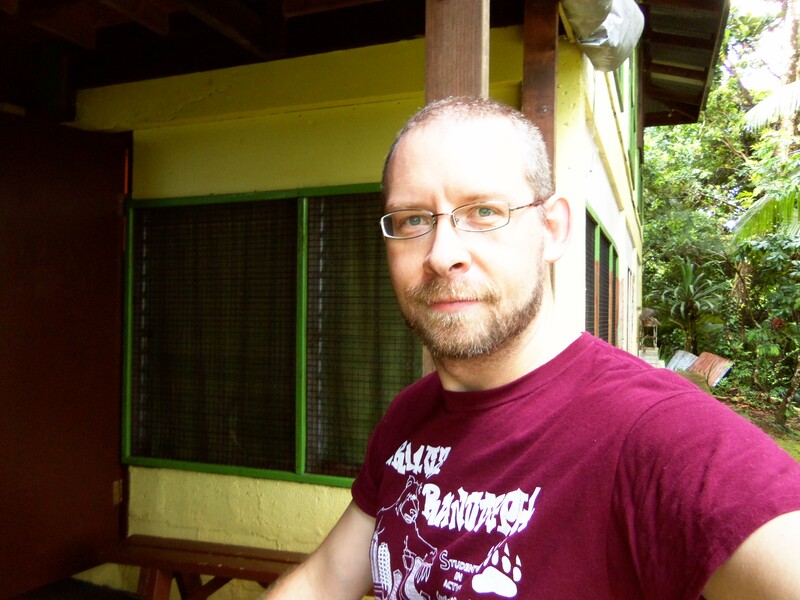 Anyhow, I’m officially safe and sound on Pohnpei Island, which is beautiful. More to follow.